India is expected to be the fastest growing economy in Asia at 7.3 percent growth in 2018, according to the World Bank. 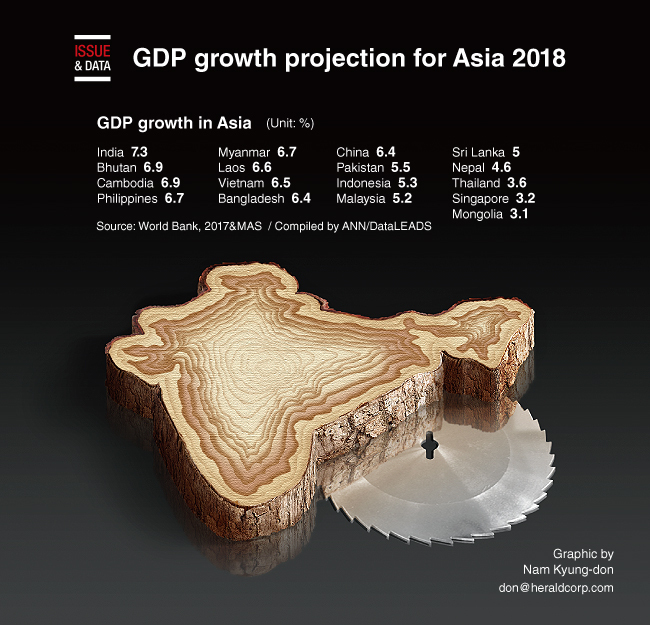 Boasting one of the world’s youngest workforce, India is projected to be the fastest growing economy in Asia in 2018. The country’s growth rate this year is estimated to beat other Asian economies, including that of rival China. Bhutan, one of the world’s smallest countries with limited access to global markets, is projected to have the second fastest economy in Asia. The country is expected to have a growth rate of 6.9 percent in 2018, compared to 6.7 percent in 2017 and 8 percent in 2016. Cambodia, the Philippines and Myanmar are the other top performing countries in Asia, as per their rate of economic growth.